When Surry Hills tapas house-come-tavern The Carrington shut up shop two years ago, Sydney shed a little foodie tear. This much-loved venue felt often like the beating heart of Bourke Street. So when the pub reopened last year under the stewardship of former Keystone Group managers Roger Gregg and Luke Butler, there was much trepidation and holding of breath. Thankfully the revamped venue has not disappointed. Stripped back to a basic dark paint, simple furniture and minimal decoration, The Carrington pays homage to the understated and the uncomplicated, right through to the menu. Reflecting a zest for fresh, seasonal produce, the gastropub celebrates hearty, honest, comfort food. The ideal ingredients for a new winter menu. A local pub for local people, The Carrington takes pleasure in the relaxed and the casual. And in this dimly lit, corner taphouse a charming haven away from the hustle and bustle of inner city living has been created. It’s quite a feat considering it’s only a stone’s throw away from busy Crown and South Dowling Street, plus the number of bright television screens scattered throughout the interior. However relaxed and casual is not necessarily always a plus, especially when there is no table service and ordering at the bar can be a long, drawn-out affair. At the helm of the kitchen is British chef David Penistone (ex-Cargo Bar). Looking at the menu it is clear that Penistone has injected some nourishing pub favourites. However we start small. 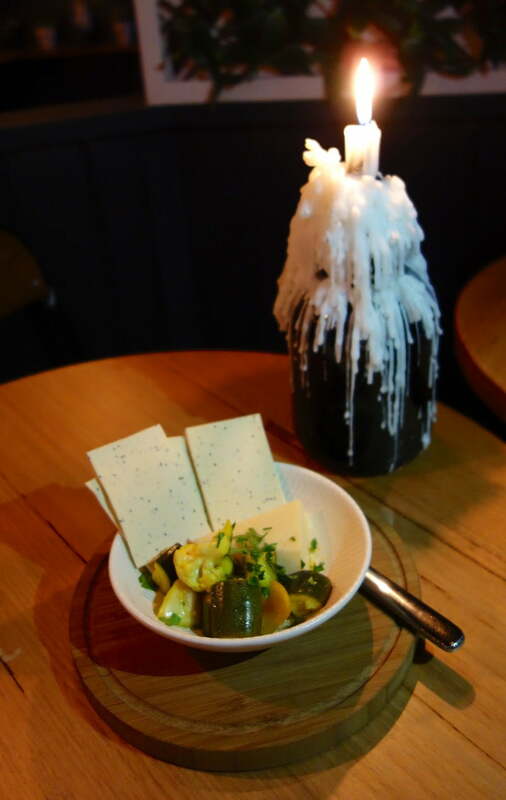 Every Wednesday, The Carrington offers cheese and crackers with a side of pickled vegetables for $5. We opted for the cheddar. A no-frills affair, it was definitely more supermarket style than boutique supplier. Mustard powder overpowered the under-pickled vegetables that could have benefited from undergoing a longer fermentation process. But for a fiver on Hump Day, it’s no great loss. 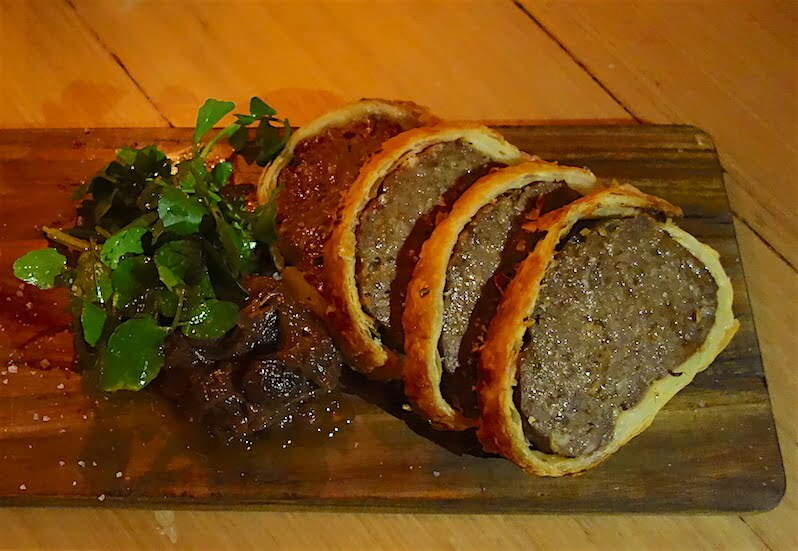 Next up was the pork and apple cider sausage-roll with raisin jam and watercress ($16). This was a large, hefty portion, generous both in terms of meat and flavour. The tender filling was wrapped in crisp pastry and wonderfully balanced with the sweetness of the jam condiment and peppery garnish. The black onyx hangar steak was 250G of tender beef ($26). 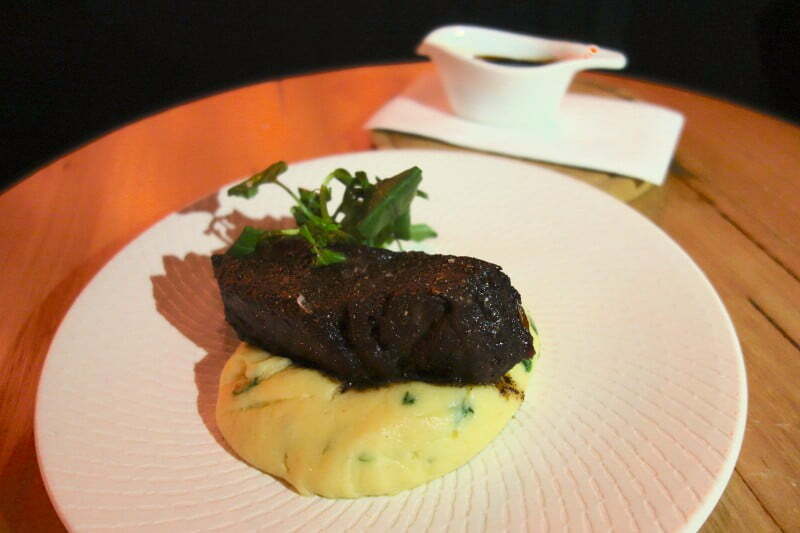 Rubbed in The Carrington’s signature coffee and pepper blend, we chose sides of champ, watercress and red-wine jus. And it really hit the spot. Particularly the champ. Mashed potatoes, chopped scallions with butter and milk, what’s not to love? 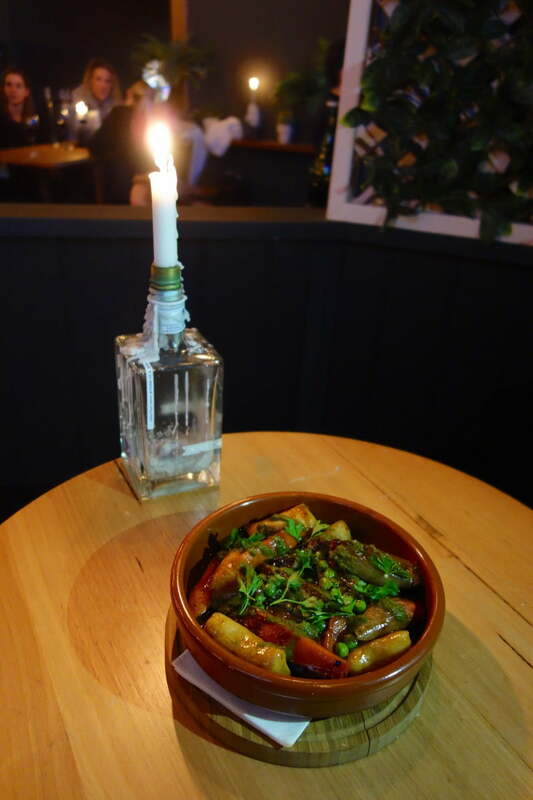 In comparison, the slow roasted beef casserole with gnocchi and root vegetables ($25) was not as well received. Light on salt, the dish was also light on flavour. Thankfully packed with veggies, it was still a nourishing choice. However it’s not all meat, meat, and meat at The Carrington. Also on offer is a selection of winter salads. 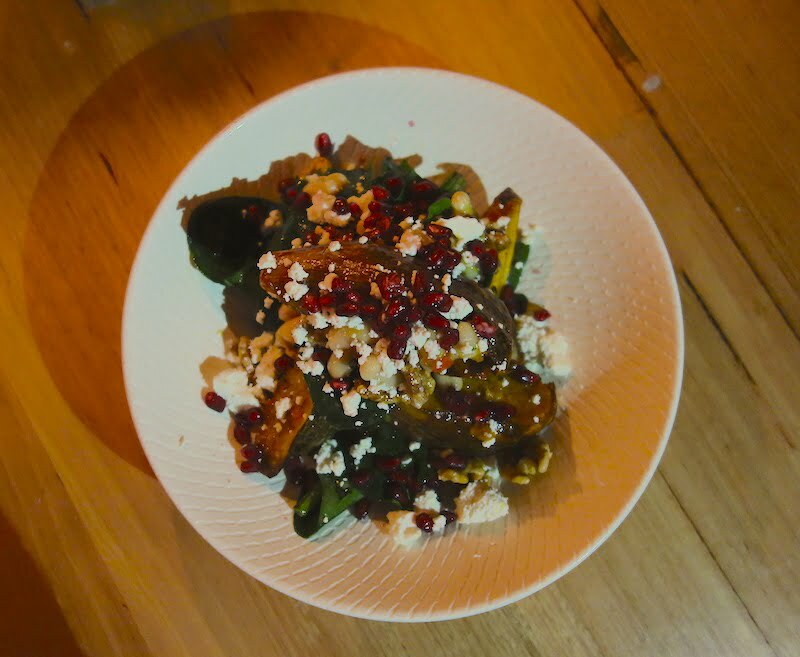 The maple roast pumpkin with feta and pomegranate ($19) ticked all the vegetarian and gluten free boxes. Both great as a stand-alone dish and one to share. It’s a good sign after a wholly satisfying (read stuffing) meal that punters still want to make room for dessert. 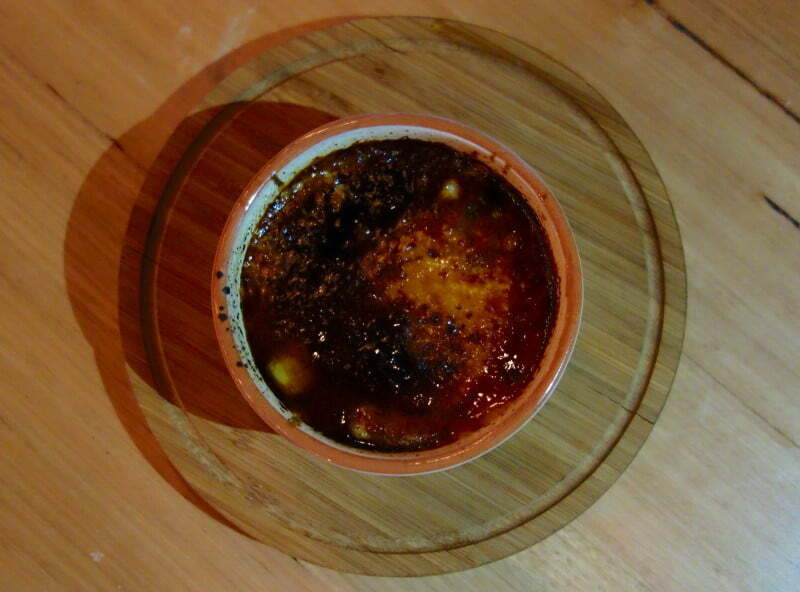 And with the crème brulée with Tarago River blue cheese, roasted fig and lemon ($12) it is a must. Quite the palatable surprise, it was a delicious end to the night. 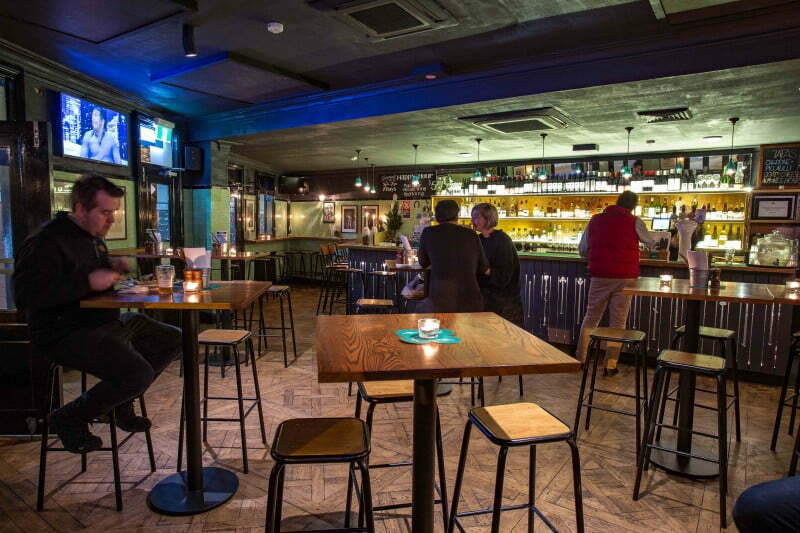 Hearty, classic pub food done well, The Carrington provides a welcome sanctuary in leafy Surry Hills. And perhaps the best part of all, the venue is dog-friendly. So the pooch doesn’t have to stay home alone. 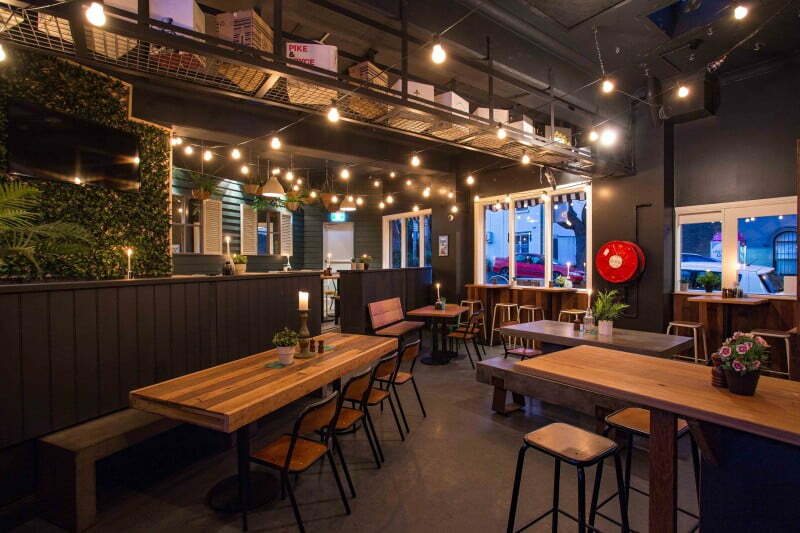 Looking for a place to go in Surry Hills after dinner? The Dolphin Hotel boasts an extensive spirits menu and a tantalising list of cocktails.